Fragrance of eau de parfum will be brighter if you use the same line for body care. 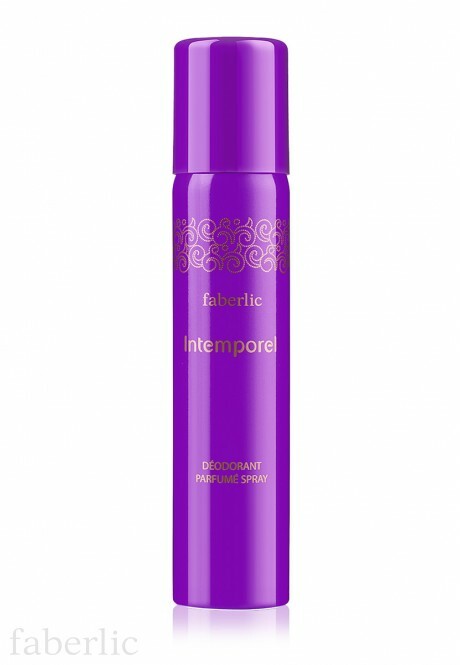 Use Intemporel perfumed deodorant spray! Repeats basic fragrance, enhances and prolongs it. Nice bonus – elegant package that will decorate your bathroom or dressing table. Intemporel has soft fruity and powder fragrance and smells with sweet notes of peach and plum. Exciting floral accents reflect in your heart and remind about everlasting beauty. Base notes wrap with subtle musk accord shaded with warm tonka beans and sandal wood.